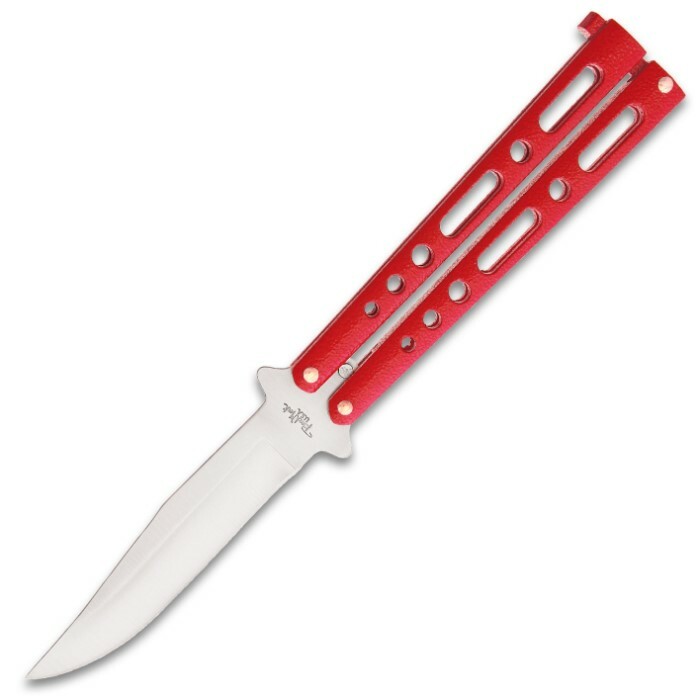 Red Satin Skeleton Butterfly Knife - Stainless Steel Blade, Die Cast Metal Handles, Locking Mechanism, USA Made | BUDK.com - Knives & Swords At The Lowest Prices! 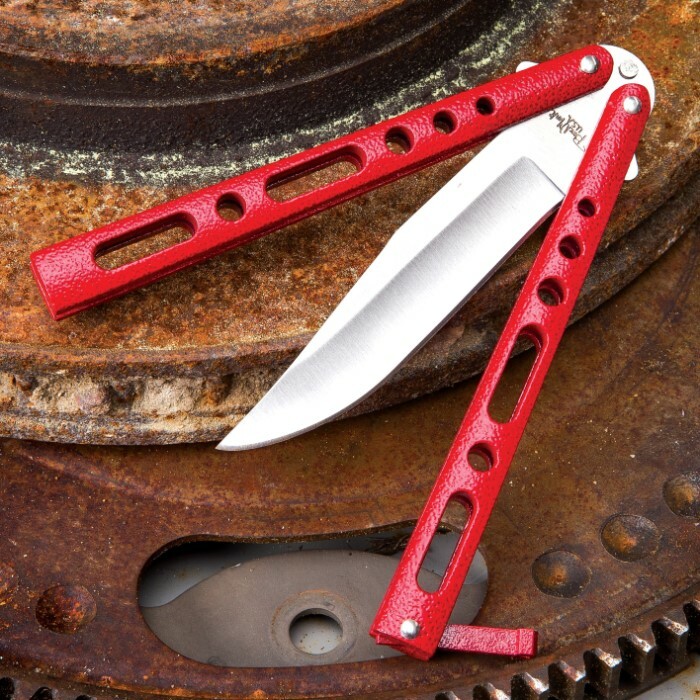 Our easy-to-maneuver Red Satin Skeleton Butterfly Knife makes expanding and perfecting your flipping skills a cinch! It has a 4” stainless steel, hollow ground, clip point blade with a satin finish and a double tang pin design for great performance. This model has extra thick, die cast metal handles that are skeletonized and have a red finish. 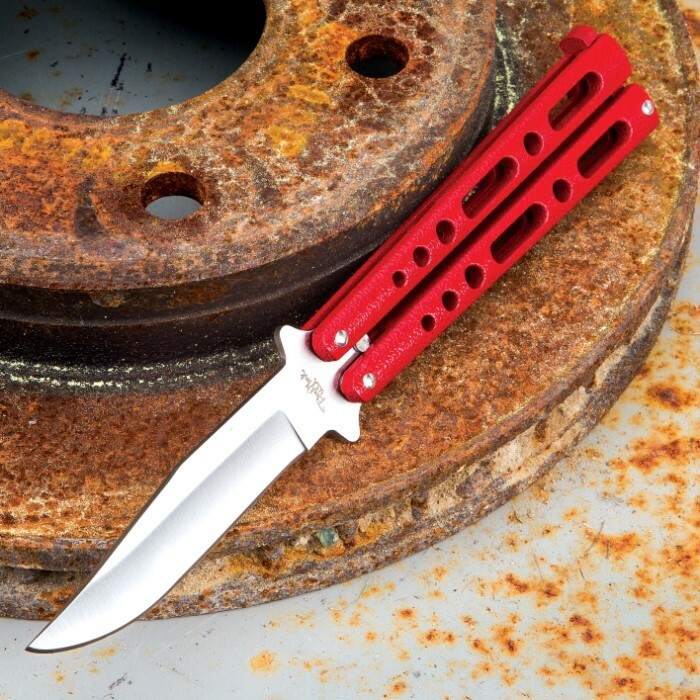 Overall this butterfly knife has great action, good looks, a fantastic price and it is made in the USA.